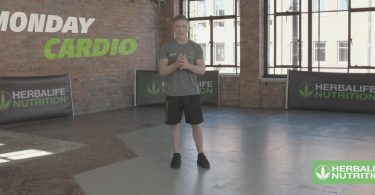 Welcome back to another day of the 21 Day Challenge with Nile Wilson. You’ve made it to day 7! Congratulations! By now I’m sure you’re ready to go into yet another awesome workout with Nile, however a very important part of getting yourself fitter and healthier is giving your body time to rest and recover. Pushing your body too much can be a really bad idea, especially if you are a beginner, you could end up injuring yourself. Today we are having our rest day. Well a rest for your body at least. In your mind you need to be thinking about the week you just had, so you can be even better prepared for the week to come. Plan your nutrition! This means organising a meal plan for yourself and making sure you have all you need to keep your body properly fuelled for the week ahead. Now you’ve done one week you know what to expect can get a jump-start on this next one. Also very important for the rest day is doing something you really love, whether that’s relaxing at home, spending time with friends or family. Do something that is good for the soul to get yourself fresh and ready so you can smash this next week of the challenge! If you feel you need support with your nutritional needs, you can get in touch with a Herbalife Nutrition Member by clicking here. Come back tomorrow for Day 8 of the 21 Day Challenge and another great workout with Nile Wilson. Good luck on your journey! Happy workout!